I am elated to share information about a book that will help parents, and educators gain valuable knowledge about bully prevention and child safety. Bullying is so different today, because of the internet . After reading Kidini Bully Prevention and Child Safety Parent and Child Activity Book, I am very hopeful that parents have a way to empower their children to keep them safe from bullies. • What can your child do to avoid bullying? • What can you do as a parent to stop your child from being bullied? • Who is a stranger? • What should your child do if someone grabs him/her? • What should your child do if someone they don’t know approaches? 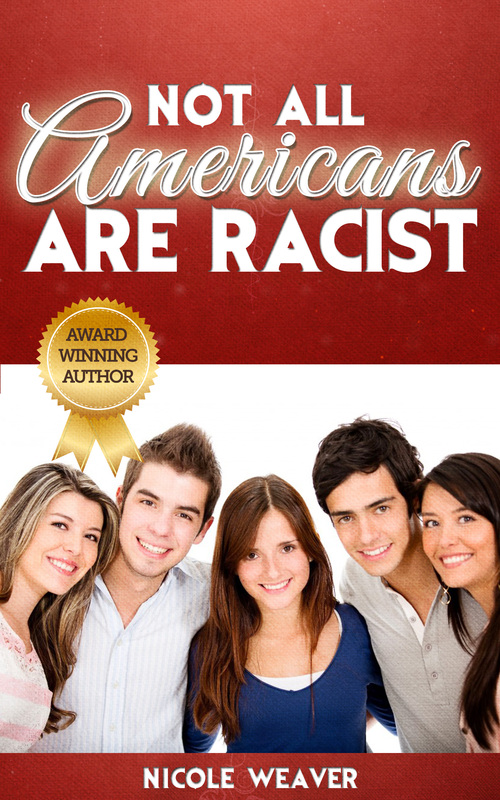 The book comes with two CDs that has songs and stories. There is also a set of flashcards featuring the eight friendly characters. Carson Ashworth & Dennis Fedoruk will give away three Kidini Bully Prevention books. The event starts August 20th at 12:00Am. Come back at 12:00 AM to enter to win one of the three books. Disclaimer: I was not compensated for this post. I received products from Carson Ashworth & Dennis Fedoruk to review and giveaway. They are sponsoring the Blogorama Bonanza Back 2 School 2012 Event. I gave my honest opinion on the products reviewed. I am not responsible for shipping or lost items for the prize giveaway. The sponsor is shipping the prize for giveaway. In my household with have four PCs, and the Tune-Up Utilities is just what we need to help keep us from purchasing a brand new PC. If you are short on cash and want to revive your old PC, the TuneUP Utilies will help repair your old PC at the fraction of the cost of a new one. 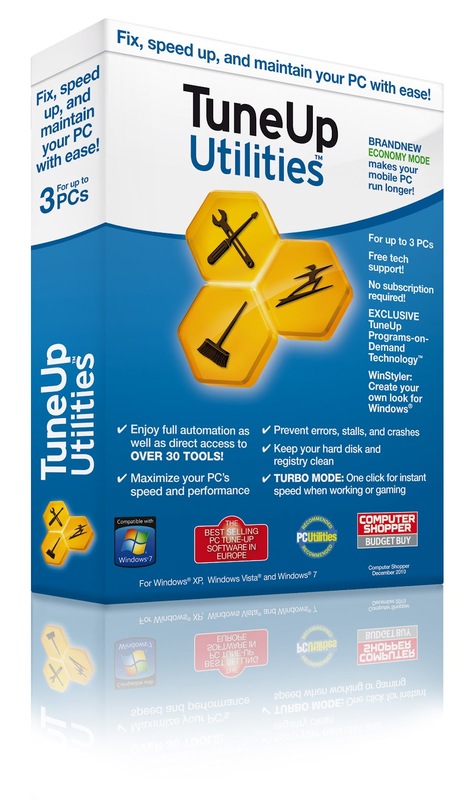 Tune-Up Utilities is a great PC Optimization software product for those families that have multiple PCs and are debating whether to purchase a new one or to refresh the older technology. This is perfect for kids going off to schools with laptops that are useful, but need more performance for multimedia applications like PhotoShop, Windows Office applications like Excel or even online PC gaming. After downloading it’s easy-to-use and will boost performance, save battery life, and even analyze or troubleshoot any issues. The TuneUp Utilities software is a Software- As- A -Service solution where one can download directly off the site (as you are doing) or can be purchased directly off the site. They do have various resellers as well which you can find under the “Business Solutions” /Distributions tab on the website. One lucky winner will win one TuneUp Utilities. The event starts August 20th at 12:00Am. Come back at 12:00 AM to enter to win . Disclaimer: I was not compensated for this post. I received products from Brian DeMichele to review and giveaway. He is sponsoring the Blogorama Bonanza Back 2 School 2012 Event. I gave my honest opinion on the products reviewed. I am not responsible for shipping or lost items for the prize giveaway. The sponsor is shipping the prize for giveaway. I remember too well the first time I was bullied. I attended school in New York and did not speak a word of English. At 10 years of age, I had moved from Port-au-Prince Haiti to Brooklyn, New York to live with my mother. It was hard enough learning a new language and culture; I did not need to be teased and made fun of because of my French accent. Today as I look back on my childhood days, I am both sad and happy. Sad because it took me a long time to overcome the self-esteem issues associated with being bullied. Happy, because my personal experiences with bullying enabled me to help many of my students and my own children. However, today, I am elated to share information about a book that will help parents, and educators gain valuable knowledge about bully prevention and child safety. Bullying is so different today, because of the internet . After reading Kidini Bully Prevention and Child Safety Parent and Child Activity Book, I am very hopeful that parents have a way to empower their children to keep them safe from bullies. I have seen firsthand what bullying can do to a child’s self-esteem as a victim, parent, and a classroom teacher. 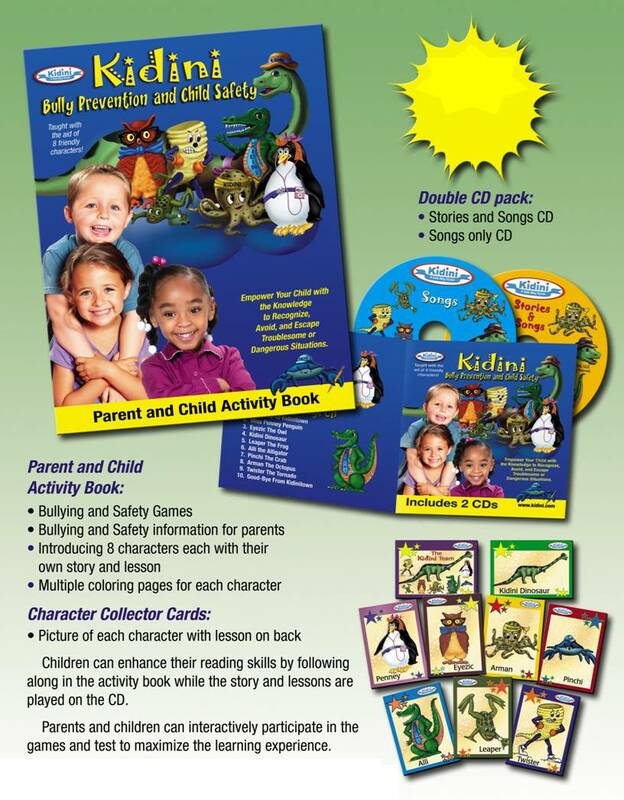 I believe the Kidini Bully Prevention and Child Safety Parent and Child Activity Book, is the most complete and interactive book available that can be used as a resource to help empower children from all walks of life. Article first published as Book Review: Kidini Bully Prevention and Child Safety Parent and Child Activity Book by Michael Graves on Blogcritics.